I’ve become acquainted with Stacy Verdick Case through Twitter, that great social media site that makes everyone friends in an instant. This lady is quick, funny, and warm, so I knew her books would be something similar. I’ve just cracked open A Grand Murder, and I’ve already laughed quite a bit. This type of book is what I like for curling up on a rainy day. I was thrilled when Stacy agreed to stop by for a few minutes. It was great fun getting to know her a little better through my usual questions. I hope you’ll take a moment to meet her, and if you like what you see, check out A Grand Murder. 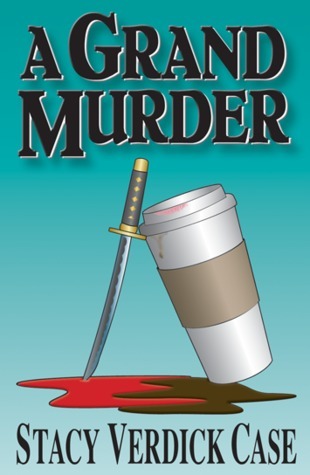 A Grand Murder is a fun, fast paced mystery, so if you’re looking for a hardboiled detective or a thriller, move along; there is nothing to see here. The first book I wrote was in second grade called No Snow on Christmas. My Mom gave it to me a few years ago. I still have it in my office somewhere. We were in the military living at Fort Campbell, Kentucky, and it was the first time I would be without snow for Christmas. I had to write about it. I still write about things that frustrate me, make me sad, or things I just simply don’t understand. Well, I once wrote a piece arguing that the use of plaid should be banned, so I have to say stripes (LOL). No, I wanted to be part of the big six, but that market is too limited right now. Even if you do get picked up by a large house your book has such a small window. With a small press, my book has a chance to gain traction. I’m happy being a big fish in a little pond right now instead of the other way around. Always. The second book in the series is complete and in the hopper. I’m sixty pages into book three. A case of Merlot and weeping piteously, begging that the muses will bless me with some shred of talent. No, I’m kidding, I shed all my rituals a long time ago. Rituals were too limiting for me. I have very little dedicated writing time (full-time job, toddler, husband, marketing, blah, blah, blah), so I need to steal moments here and there. I love doctor’s appointments because they’re always running twenty-minutes behind, so I think I’m becoming a hypochondriac just to get blocks of writing time. Every character I’ve ever written is based on someone I know, or at least pieces of them are. If you know me, you are character fodder. It’s funny when people see something of themselves in a character. I’ve had people claim ownership over certain characters, but they’re an amalgam of multiple people. Catherine and Louise (the two main characters) are namesakes of two women I used to work with whom I adore. My main umbrella is a light blue, but I have one in black, one in blue/black/green paisley, a pink one, a brown one, a clear one with a pink ribbon, and a white one with a cat on it. Wow, even I was unaware of my umbrella mania. Stop me before I umbrella again! This is such a hard question because I have so many favorites for different reasons. Stephen King for his descriptive ability, Christopher Moore for his humor, Anne George for creating characters you want to follow forever, and Harper Lee for her ability to evoke a time. The list evolves all the time. The Dead & The Gone by Susan Beth Pfeffer. It’s a YA book. A little sad, but I cared about the characters. I read it in three days, which is fast for me. I mix real and made up places. I live outside of St. Paul, Minnesota where the books are set, and I love adding local places. If I can’t find a place that fits the story, I will create business, or locations that suit me. I figure I write fiction, no one is relying on my books as a travel log. Have a drink and celebrate! Seriously though, writers should always have pre-readers and editors to work with and I do. After reading your own work so many times, you will start skimming, and not thoroughly reading what you wrote. It’s important to find the right group of readers though. I’ve been part of crummy critique groups in the past. They should have been called fang and claw clubs instead of critique groups. B*tch by Meredith Brooks. I think this sums up Catherine (then again what woman doesn’t it sum up): I’m a little bit of everything all rolled into one. I’m a b*tch, I’m a lover, I’m a child, I’m a mother, I’m a sinner, I’m a saint, I do not feel ashamed. I’m your hell, I’m your dream, I’m nothing in between. You know you wouldn’t want it any other way. So take me as I am. Barnes and Noble, Powell’s, GoodReads, Amazon, anywhere books are sold they can order it if they don’t have it. It’s available in paperback, eBook, and January 15th it will be released in audio, which is exciting for me. I can’t wait to hear my characters come to life. 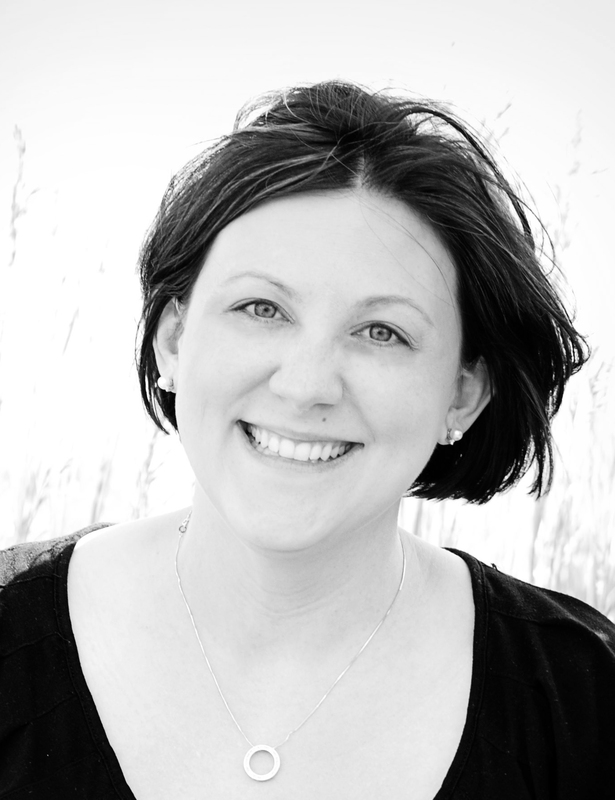 You can visit Stacy’s GoodReads profile, follow her on Twitter, and fan the book on Facebook. I know she’d love to hear from you! Not enough books take place in the Midwest, if you ask me! I’m a fellow Saint Paul-ite, and I’m looking forward to reading a fun murder mystery that takes place in my neck of the woods!